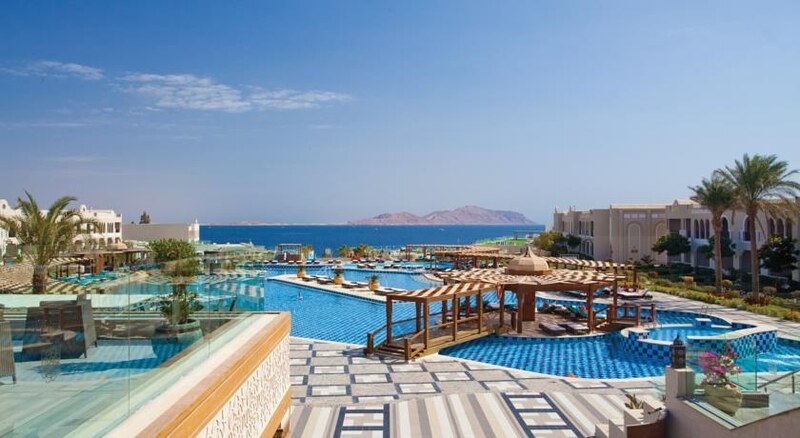 Set to open in mid-2011, the fabulous Ultra All Inclusive Sunrise Grand Select Arabian Beach Hotel is a superb 5 star property located right on the beach at Sharks Bay close to the spectacular coral reefs of the Red Sea, and part of Ras Mohamed National Park. 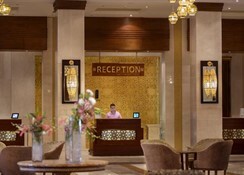 Offering unparalleled service, luxurious accommodation, fine dining, and a host of activities, this stunning vacation retreat is just 5 minutes from the diving marina, the old town of Sharm El Sheikh, and the chic nightspots of Naama Bay with its varied selection of bars, restaurants, cafes, bazaars and nightclubs. 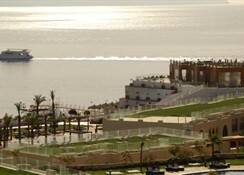 Sharm El Sheikh International Airport is 5 km from the hotel. Local Tips: The Sunrise Grand Select Arabian Beach is in a perfect position for those who want to head offshore for a fascinating diving excursion, explore with desert and dune safaris in a 4 x 4 vehicle or embrace tradition and travel on a camel! Food, drink and entertainment: Ultra All Inclusive accommodation. 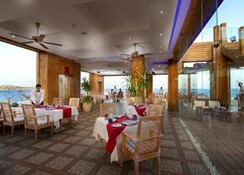 Sunrise Grand Select Arabian Beach has a selection of different restaurants including the main restaurant with a wide range of food varieties for breakfast and lunch, as well as daily changing theme buffets are the highlight for dinner. 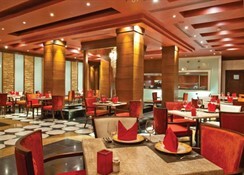 In addition, four a la carte restaurants offer Arabian, Asian, Italian and fresh Seafood. Eight different bars are spread throughout the hotel including a lively pub/disco. Sports, games and activities: Two spectacular swimming pools (one heated during the winter time), sun beds and umbrellas, table tennis, volleyball, tennis (floodlight with charge), Billiards, Boccia, darts, water polo, aerobic, animation team with daily activities for adults and children. Nemo Kids Club provides the youngest guests with professional care takers and 6 days of activities every week for the different ages. Guests will also enjoy Senses Spa for beauty and relaxation treatments as well as an additional gym area (minimum age 12). Some activities and services are with charge. Additional: 24 hour reception, multilingual staff and guest relation, Bell captain, limousine service, luggage room, laundry & valet service, beauty salon/barber, gift/souvenir shops, jeweller, Internet café, 24-hours on call doctor, honeymoon VIP treatment. Christmas Eve and New Year's Eve gala meals with supplement (mandatory). 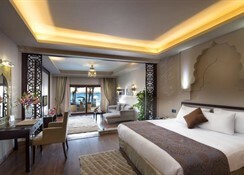 The Sunrise Grand Select Arabian Beach features a total of 420 rooms in different categories are spread in different clusters in a stunning garden area with 2 spectacular pool areas. The 420 rooms are divided by 171 superior rooms (max 4 people), 159 deluxe rooms (max 4), 44 family rooms (max 5), and 46 suites (max 5). Four rooms are for handicapped guests. All rooms have a private bathroom, hair dryer, safe deposit box (digital code), direct dial telephone, mini bar, and Satellite TV offering a wide selection of international channels. Free baby cot is available on request. Single room policy means one adult and one child or two children sharing.